Associated to the likes of Benjamin Disraeli – the 1st Earl of Beaconsfield before becoming the Prime Minister of England in 1868 and once home to world famous writer Sir Terry Pratchett – Beaconsfield is a genteel and affluent town nestling in the heart of Buckinghamshire within easy reach of London. Living in Beaconsfield offers a town of two halves – Beaconsfield 'Old Town' and the ‘New Town’ as it is known. The Old Town is very picturesque and is flanked by former coaching inns and timber clad buildings. It boasts many popular restaurants including a Maison Blanc, a Japanese restaurant, the award-winning Spice Merchant and it is also home to the renowned Crazy Bear Hotel with its English and Thai restaurants. Beaconsfield 'New Town', three quarters of a mile away, was so called when the railway arrived here in 1906. 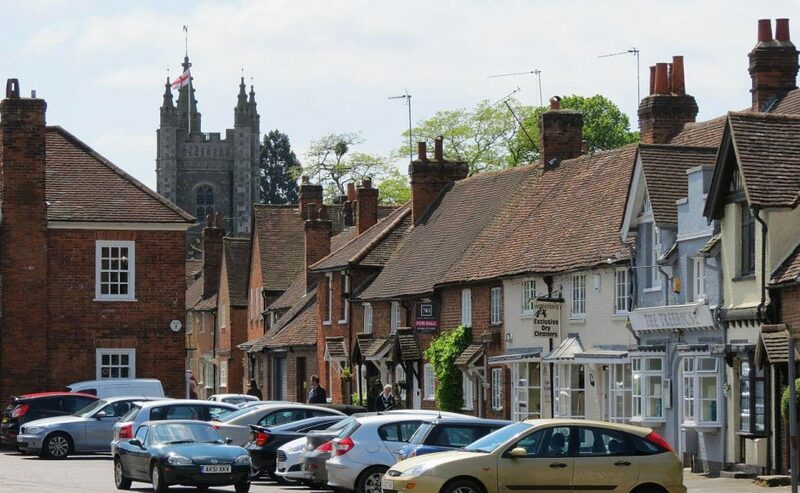 Since then the town has grown exponentially and once described by The Guardian as a 'Kind of Mayfair nestled in the Chiltern beechwoods', Beaconsfield often features in the Top Ten Places to Live in UK national surveys. Buckinghamshire is renowned for its excellent choice of state and independent schools, including leading grammar schools, such as Beaconsfield High for Girls Dr Challoner’s Boys Grammar School, Dr Challoner’s High School for Girls and The Royal Grammar School, as well as top private schools including Wycombe Abbey, The Royal Masonic, Berkhamsted College, Harrow, Merchant Taylors and Eton. With junction 2 of the M40 just 2 miles from the centre of Beaconsfield New Town, Beaconsfield is very well connected to the motorway network giving access either to London, the M25, or heading north towards Oxford and Birmingham beyond. The mainline station on the Chiltern line in the centre of the town allows quick and easy access to London Marylebone in approximately 22 minutes, and Heathrow airport is just 14 miles away. There is a wide choice of eateries within Beaconsfield Old and New Towns, and with all of the restaurants being busy throughout the week they help create the vibrant atmosphere within the town. From the modern Brasserie Blanc, the renowned Crazy Bear, through to The Royal Standard of England, one of the country’s oldest Public Houses, there is something for everyone with all tastes and budgets being catered for.